What's in a name? The Open de Espana was called "Spanish Open" for much of its history. Of course, Open de Espana translates to Spanish Open, so why point that out? The English-language title used to be the official name of the tournament; beginning in 1997, tournament organizers (and the European Tour) started using the Spanish. We use "Open de Espana" and "Spanish Open" interchangeably below, so just keep in mind that Open de Espana is the official name. The Open de Espana is part of the European Tour and is usually played in the spring, in April or early May. However, this tournament was not played in 2017; it returned to the schedule in 2018. Home-country favorite Jon Rahm carded four rounds of 68 or better to win the tournament by two strokes. The runner-up was Paul Dunne, and another Spaniard, Nacho Elvira, finished third. Rahm shot 67 in Round 4 to finish at 20-under 268. It was his third career win on the European Tour. The 72-hole scoring record is 262, set by Mark James in 1988. That same year the event's 18-hole scoring was established by Wayne Riley — 61. The golfer with the most wins is a Spaniard, Angel de la Torre, who won five times in the 1910s and 1920s. The Spanish Open is one of the oldest tournaments in continental Europe, first played in 1912. The first champion was Frenchman Arnaud Massey, winner of the 1907 British Open. The Open de Espana became part of the European Tour schedule in 1972, the first year of that tour's existence. In fact, the Open de Espana was the first tournament played in the first European Tour schedule. Which makes Antonio Garrido not only the 1972 Spanish Open champion, but also the first winner in the European Tour's history. Padraig Harrington's first European Tour victory and first win on any major pro tour was at the 1996 Spanish Open. The 2013 Spanish Open went to a sudden-death playoff that lasted nine holes before Raphael Jacquelin won. That matched the European Tour record for longest sudden-death playoff, previously established at the 1989 Dutch Open, where Jose Maria Olazabal needed nine extra holes to win. Spaniard Angel de la Torre won five times from 1916 to 1925, the tournament record for most victories. De la Torre won three straight from 1916-18, the only time a golfer has won the Spanish Open three straight years. Eight other golfers have won the Open de Espana three times each: Arnaud Massy, Joaquin Bernardino, Gabriel Gonzalez, Marcelino Morcillo, Mariano Provencio, Max Faulkner, Sebastian Miguel and Seve Ballesteros. In the tournament's years as part of the European Tour schedule, only Neil Coles (1973) has won wire-to-wire. 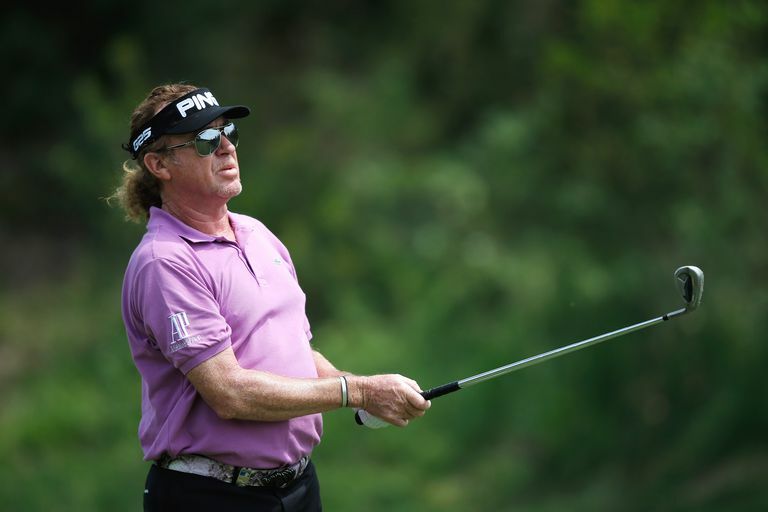 Miguel Angel Jimenez's victory at the 2014 was significant because he was 50 years old. He extended his own European Tour record as oldest tournament winner, plus became the first-ever 50-or-over golfer to win on the European Tour. Whose tournament record did Jimenez break as oldest Spanish Open winner? Arnold Palmer was 45 years, 221 days old when he won in 1975. 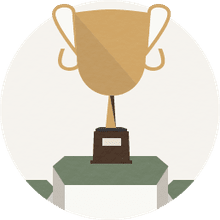 Following is the list of all tournament winners, dating to the first in 1912. Previous names of the tournament are also listed (p-won playoff; a-amateur).